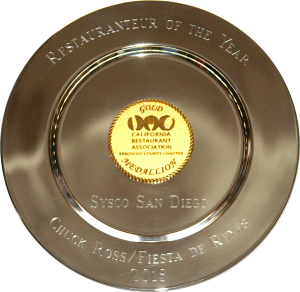 Chuck Ross, president of Old Town Family Hospitality Corp, has been named 2018 Restaurateur of the Year by the California Restaurant Association – San Diego Chapter. With 44 years under his belt in the restaurant and hospitality business, Ross is a tireless advocate for the restaurant industry and especially for the people who work in it. He is a firm believer that the industry serves to bring people up and let’s them grow and shine on their own. Known as a restaurant turn-around specialist, his latest endeavor has been the revitalization of the anchor concession in Old Town San Diego State Historic Park consisting of 3 restaurants and a boutique hotel. 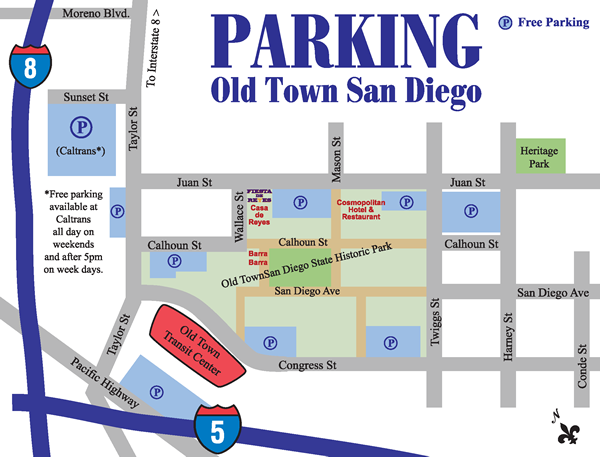 ” Fiesta de Reyes in Old Town San Diego State Historic Park has been my and my family’s passion for the past nine years. I may be the one credited with the vision to take on the opportunity, but my family gets the credit for making it such a huge success. I’ve never had the joy of working with my family before, but it’s rewarding every day to work with my two sons Ryan and Brandon and their extraordinary wives, Kristen and Alexis. My wife, Gail, is the heart and soul of the business, and loved by everyone on our staff. I’m grateful to each of you and I’m lucky to be sharing this amazing opportunity with you every day! Chuck-Ross-Final from Wesley Somoza on Vimeo. 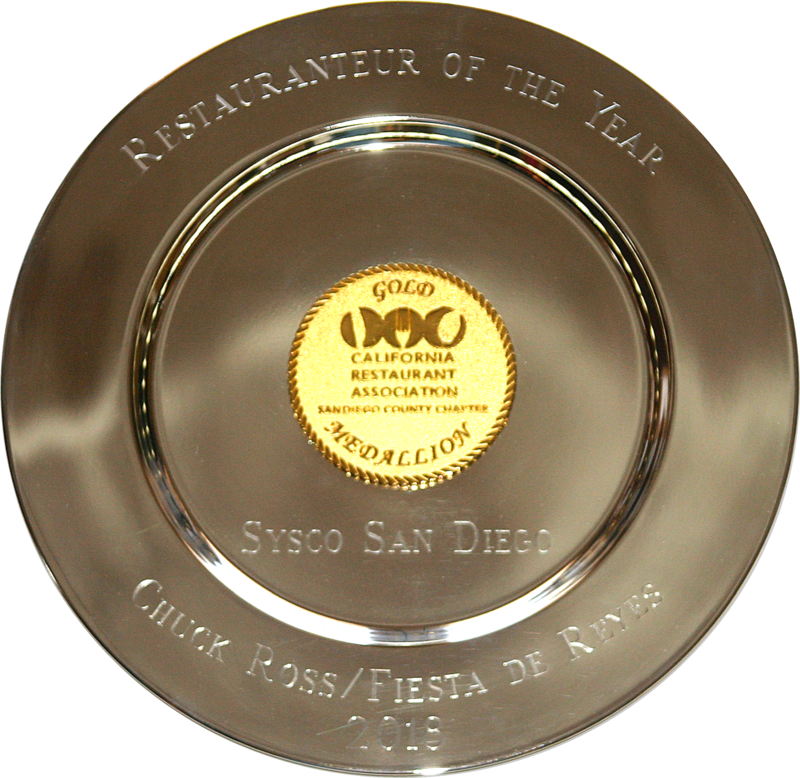 Old Town Hospitality Corp, operator of Fiesta de Reyes, Barra Barra Saloon and the Cosmopolitan Hotel and Restaurant, is one of five California-based companies recognized as the state’s winners of the 2018 Restaurant Neighbor Award, the California Restaurant Association Foundation (CRAF) announced. The Restaurant Neighbor Award celebrates the outstanding charitable service performed by restaurant operators throughout the U.S. 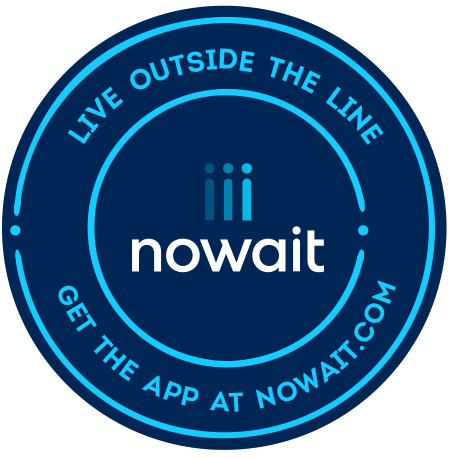 This award recognizes the impact restaurants and entrepreneurs have made on their local communities. Nationwide, restaurants’ charitable contributions are estimated to be up to $3 billion annually, and more than nine out of 10 restaurants are actively involved in community service.